From Mediaite: Brotherly love. 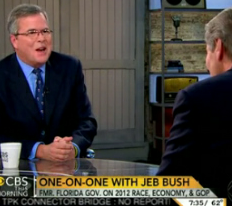 Jeb Bush thinks the President should go a little easier on his brother. 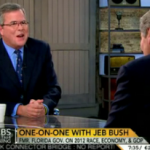 Reports Mediaite, “Former Florida Governor Jeb Bush suggested on Thursday to CBS This Morning‘s Charlie Rose that President Barack Obama should give his brother, former President George W. Bush, ‘a little tip of the hat’ for his influence on Obama’s foreign policy. Jeb Bush said of the current president’s foreign policy decisions: ‘I would argue in some ways, by reality seeping kind of into his life as the Commander-in-Chief, that a lot of it is modeled after [Bush] 43.’ ‘And it would be nice,’ he added, ‘a little tip of the hat might be a nice thing. I think it would be helpful for him politically.” …“For example,” Bush continued, “when he was gracious at the unveiling of the [Bush couples’] portrait[s] — there’s no way not to be gracious in that setting — but it helps, just a small acknowledgment that the guy you replaced isn’t the source of every problem, and the excuse of why you’re not being successful. I think it would help him politically. '” Watch the clip and read more here. 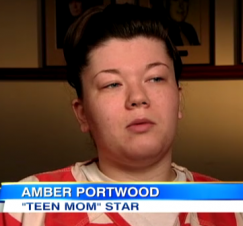 From Gossip Cop: The Teen Mom tragedy continues. Amber Portwood, star of the MTV show, appeared on Good Morning America today and revealed her latest suicide attempt, as well as explained her decision to go to jail. Reports Gossip Cop, “The reality star confesses, ‘I took 30 Suboxone [used to treat opioid addiction] within three days… The depression took over. I’d just take four to five at a time underneath my tongue, and nod out. I had more than addiction problems. I had, you know, mental problems, too,’ admits Portwood. Last June, Portwood was rushed to the hospital after she threatened to take her own life. As for her decision to serve a five-year prison sentence rather than complete a prescription drug rehab program, she offers, ‘You want to be free. Who doesn’t? But you know if you can’t do it…. why are you kidding yourself? '” Read more about Portwood here. From Geekosystem: Unrest in China. 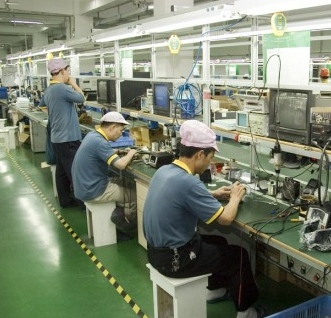 One thousand workers have rioted at a Chinese Foxconn dormitory today. 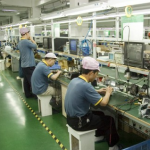 Foxconn, which assembles electronics such as the iPhone and iPad, has been under scrutiny for some time regarding its labor practices. Reports Geekosystem, “For two hours, the workers threw bottles at security and destroyed property in the plant’s dormitory area before ultimately being subdued with the help of local law enforcement. The true cause of the riot is disputed, and varies by source. Foxconn asserts in a statement to CNN that the disturbance started when workers had a “disagreement” with a restuarant owner in Chengdu, where the plant is located. When the workers returned to the dormitory, more workers somehow became involved in the dispute, and things escalated until law enforcement was called to straighten out the issue. According to Want China Times, however, the fight broke out when workers allegedly hindered Foxconn security guards who were attempting to investigate an alleged theft. In this case, it was initially a conflict between workers and security that broke out into a full-scale riot, not a conflict between workers and some third party. Admittedly this version makes a little more sense, considering how odd it seems for unrest between workers and a restaurant owner (presumably in or around said restaurant) to just migrate into the dormitories.” Read the full story here. From Styleite: A must-read. Continuing with fashion expatriate Amanda Brooks news, today Styleite’s newest contributor Rachel Tension, an impossibly gorgeous multicultural style obsessive, analyzes Brooks latest blog disaster. Writes Tension, “Don’t you hate it when privileged white people try to be complimentary of another race and completely miss the mark? Because I hate it when privileged white people try to be complimentary of another race and completely miss the mark. 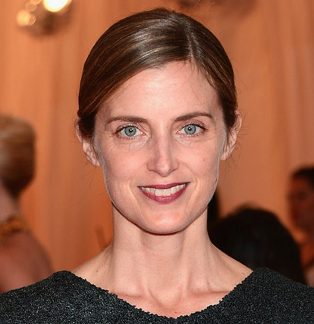 I refer here to a recent post on the personal blog of Amanda Brooks, the former Fashion Director of Barneys. …Brooks has been blogging pretty regularly now that she doesn’t have all that fashion directing to do, and on Tuesday she extolled the virtues of a Jamaican-themed restaurant in New York called Miss Lily’s (which she misspells). And that extolling basically takes the form of, ‘Look at how cool all these Black people who work here are! '” She poignantly concludes that “Fashion (well, specifically, the wearing of clothes) is something all people have in common — and good style should be a force for bringing people together, not pointing out the Grace Jones-sized differences between and among us.” Read more of Brooks’ gaffe and Tension’s opinion here. 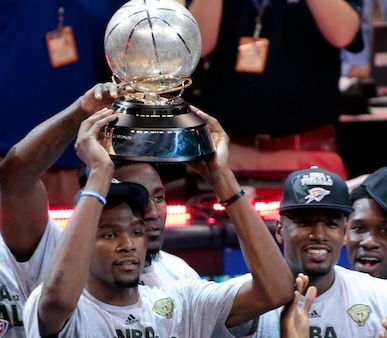 From Sportsgrid: The big name in sports today is Oklahoma City Thunder. Last night, they beat the San Antonio Spurs (by making a comeback) to secure a spot in the NBA Finals. They displayed an impressive level of talent to do so. So the question remains: how did they get this good? Reports Sportsgrid, “Well, a roster like this doesn’t just make itself happen. Sam Presti, the team’s GM, has done a superb job evaluating talent and using the draft to build this franchise… It obviously took some bad times to make the Thunder good. You don’t earn top picks in the draft without first losing a lot of games. And of course, a little luck helps also. In hindsight, many will say Durant fell into the franchise’s lap in 2007 after Portland selected Greg Oden. Boy, did those two picks ever change the landscape of the NBA. …This team was was no accident; it’s been years in the making, beginning in 2007. 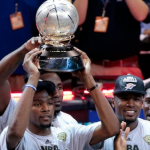 Fans always wonder how their team can become better not only in the short term, but for the long haul.” Read more about the specific moves that made the Thunder the team they are here. 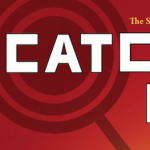 From The Mary Sue: “I’m not a rabbit, and you’re not a frog, so let’s not jump ahead,” say the producers of upcoming Hunger Games sequel Catching Fire. As buzz from the first movie dies down and fans eagerly look towards the second, all sorts of rumors have surfaced re: casting. Especially the casting for the role of Finnick Odair. The list is extensive, Robert Pattinson, Taylor Kitsch, Armi Hammer, Garrett Hedlund, Jesse Williams, Justin Hartley. But alas, these are all only rumors. Reports The Mary Sue, “You’re all wrong says producer Nina Jacobson. ‘So not true,’ were apparently her real words. She went on to tell 24 Frames, ‘That’s the thing that’s crazy — people are like way ahead of where we are. We’ve not narrowed things down by any means. It’s funny to see how things can take on a life of their own. '” Read more about fan suspicions and wishes here. 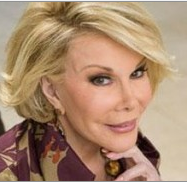 From The Jane Dough: Joan Rivers hates you, but here is why you should love her. Here’s why: As The Jane Dough reports, “Tacky. Abrasive. Mean-spirited. An old bat. These are some of the nicer words that have been used to describe comedian Joan Rivers, a rough around the edges New Yorker who has made a career out of insulting people, name-calling, and making fun of outfits. One of the least politically correct women in media, Rivers is also unafraid to stamp harsh labels and derogatory terms onto those she dislikes. Earlier this year, she said fellow funny lady Chelsea Handler is a ‘drunk’ who got ahead in entertainment by ‘f–king somebody high up in the industry and they gave her a break.’ You hear a claim like this and assume the individual who delivered it is awful, and that’s a pretty accurate description of Rivers, but the good thing about her is that she owns her imperfections and knows she’s insane, as made obvious by the title of her new book, ‘I Hate Everyone…Starting with Me. '” Find out five more reasons why you should love her here. From The Braiser: A big debate was cooking on the @TheBraiser twitter account last night, between Anthony Bourdain, Eddie Huang, Gilt Taste’s Francis Lam and The Braiser. 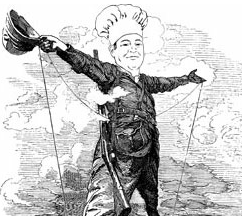 First, Lam wrote a piece in The New York Times about culinary imperialism. Then, Lam and Huang wrote a piece on the same topic for Gilt Taste. Then, The Braiser’s own Tina Nguyen shared her thoughts on the stories. 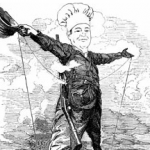 What resulted was an all out Twitter debate about invasion, colonization, culinary imperialism, and fusion cuisine that brought some great minds together to begin what should be an ongoing discussion. 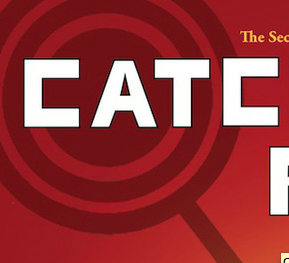 Follow @TheBraiser and read Tina’s original article as well as its summary.